The Wrath of Pedialyte – she eats. Food critic for the Houston Press, advocate for Nutella on Ritz crackers. Feel free to drop me a line at sheeats at hotmail dot com, but know that I'm terrible about checking my inbox. Erwin on Worst. Chips. Ever. manfaat toko sandal online on Know A Salsa Lover? I was incredibly weak yesterday afternoon, either from dehydration or lack of sleep, but I decided that I could try and remedy at least one of the potential causes by going to the drugstore for some Pedialyte. I couldn’t decide on a “flavor” of Pedialyte to buy; the system the manufacturers used for choosing flavors for this stuff seemed laughably arbitrary: grape, unflavored, bubble gum, mango and the ominously-named “artificial fruit flavored.” None of these appealed to me. In fact, the thought of “bubble gum” Pedialyte made me want to vomit right there in the aisle, and I was beyond certain that the “unflavored” bottle wasn’t truly going to be “unflavored.” Also, on a side note, what two-year-old wants mango-flavored Pedialyte? After finally settling on a four-pack of single-serve portions in apple (also available in cherry! ), I dragged my haul home and twisted the lid off a room-temperature apple-flavored Pedialyte, ready to become rehydrated. 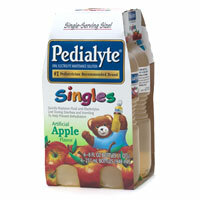 If you have kids, then you’ve bought Pedialyte at some point. However, I doubt that you’ve actually tasted the stuff. Let me break it down for you: DON’T. It tastes like candy-coated death. The second that stuff hit my mouth and tongue, I wanted to cry. I have never tasted anything so foul and noxious in my entire life. It is so intensely sweet that the only thing I could compare it to is dissolving 90 packets of Sweet ‘n’ Low into a bowl of “apple-flavored” syrup and then drinking it. I struggled to swallow it, and as it trickled down my throat it felt like sugary lava. The stuff is so sweet it burns. My jaw ached, my throat ached, my eyes watered. I once had to drink an entire Route 44-sized container of barium for an upper GI scan. It was brutally thick, concentrated and chalky: like someone had dissolved an entire box of chalk into a pan of water and then stirred in some cornstarch. But even that was more tolerable than drinking one eight-ounce super-sugary-apple Pedialyte. I felt like this must be what the Devil gives you to drink in Hell. But I was determined to drink it. After several attempts at drinking it straight up, I eventually discovered that it tastes much more palatable over ice, especially when the ice has completely melted into it. That way, you can chug it all down at once, with your nose pinched. Watering the stuff down definitely takes away the burn, but not the rancid, metallic taste. I’m presuming the reason it’s so sugary is an ill-advised attempt to mask that coppery taste. The solution? A ginger ale chaser. So I chugged a watered-down Pedialyte last night and one more this morning and — I’ve got to be honest — I feel like a million bucks today. I’m still making the regularly-scheduled potty breaks every half-hour, but the stomach cramps are completely gone and I feel completely rejuvenated, despite the fact that I didn’t get more than a couple hours of sleep last night. Moral of the story: Pedialyte tastes so spectacularly awful that it will make you want to spontaneously burst into tears and claw out your own throat, but it does a body good. What happened to good ‘ol Gatorade or Recharge (all natural gatorade type drink from WFM)? Who told you that? Out of curiosity? I’d alternate one Gatorade, one ginger ale, one Gatorade for a while and you should be fine. As Amazon said, when you feel up to it, eat a banana. @ Amazon: I tried some bananas last night. The pain! But delicious. @ Cory: Um…*in a very small voice*…Google. I read a few different articles that said sports drinks like Gatorade are too high in sugar and should be avoided in lieu of Pedialyte and its ilk. That’s it. Next time you get food poisoning, I’m giving you my sports drink. No sugar, slightly fizzy and tastes good! Ever heard of the BRAT diet? That would be Bananas, Rice, Apples, and Toast, and I’ve found it (when necessary) to be calming and helpful in times of gastric distress. Yes, croquecamille…..SOMEONE tried to get her to eat that rice with the homemade-from-scratch chicken broth. But, no, she had to have dumplings. And, consequently, spend yet another night on the porcelian throne. Hmph. THOSE DUMPLINGS WERE WORTH IT. gatorade sounds really healthy: high fructose corn syrup and artificial coloring. pedialyte is marketed to kids and it has artificial flavoring? awesome. i prefer to buy from farms and not factories, thanks but no thanks. Pedialyte is really for the dehydration caused by diarrhea. The big danger with diarrhea is hyponatremia (low blood sodium). Your body normally secretes sodium early in the digestive cycle and the re-absorbs it later. When you have diarrhea there isn’t time for the reabsorption of the sodium. The glucose in Pediaylte is important for the re-uptake of sodium in the intestine. The World Health Organization has guidelines for hydration solutions (diarrhea is a big killer in the third world). They should contain glucose, sodium chloride, potassium chloride and trisodium citrate in proper concentrations. From looking at Pedialyte’s website it looks like they match the WHO’s recommendation pretty closely with the exception of adding some flavoring and sweetening to make it more palatable for small children (vital if you are dealing with a sick, miserable child). BTW, the above commenter is a moron. Diarrhea, especially in children, can kill with breathtaking speed. If you don’t have something like Pedialyte on hand you can give chicken or vegetable soup (no low-sodium) or salted, watered down cereals like oatmeal but the best thing is something like Pedialyte…. Since dehydration from not drinking enough or perspiration cause fluid/electrolyte imbalance through other processes the best solution may be just water or even a reputable sports drink. *Please note I have no commercial interest in Pedialyte or any re-hydration drinks but I did have a really bad case of the flu a couple of years ago and Pedialyte made me feel a ton better and probably saved my life. Unflavored actually isn’t that bad. Think about it, salt and sugar in solution. It’s a little salty and a little sweet, but otherwise fine. And if you really are dehydrated it actually tastes pretty good because your body is craving it. I think the flavored kinds are over sweetened and I’m guessing that the metallic taste might have been from the “apple” flavoring. I’ve noticed that some apple flavored stuff is like that. Heck even apple juice in a can from the store does. You can make an oral hydration solution at home in an emergency, but if you can get to a store the pre-mixed is safer. Do it yourself can’t guarantee the right balance, but it’s better than nothing if you have no other options. I bought the unflavored for my cats and trepidatiously tried it and was surprised that it actually wasn’t that bad, kind of good really. And I’m someone who normally avoids all sweetened drinks. I can’t even drink juice without watering it down. So, in a pinch, I’d recommend the unflavored. Unfortunately it’s really hard to find in packets. There are other oral hydration solutions available in packets, but I haven’t tried them so I can’t speak for their flavor. Oh, and though the bottle says to toss after 48 hours (large pedialyte from the store), that’s mainly covering their butts. Fridged you can keep it around for quite a while. It’s only unsafe to give an infant or other sensitive person with a compromised system in case it becomes contaminated with something due to the fact that it’s practically petri dish material. I found mine helpful for certain times of the month when I wake up dehydrated and it was still effective weeks later. I get the powder meant to be put in 8 oz of water and put it into a 32 oz water bottle with 32 oz of water. Much nicer and way cheaper. This valuable posting, “The Wrath of Pedialyte | she eats. Very funny blog about Pedialyte. I’m over 80, & got dosed with a large spoonful of sugar (dry) mixed with kerosene as a child. Also for constipation: half & half o.j./castor oil.When I vomited I got more. Our chickens were given the kerosene treatment too. Mostly, we survived. Failure not an option, only death. Due to a downturn in Dubai’s economy, the partially completed, multi-billion dollar tiger woods 8 iron distance signature golf estate has been put off indefinitely. you personally? I wouldn’t mind publishing a post or elaborating on a number of the subjects you write regarding here. Again, awesome weblog! Hi to all, how is all, I think every one is getting more from this website, and your views are good for new visitors. Hey! I know this is kinda off topic however , I’d figured I’d ask. a blog article or vice-versa? My site covers a lot of the same subjects as yours and I believe we could greatly benefit from each other. an email. I look forward to hearing from you! Great blog by the way! more of your useful info. Thanks for the post. I’ll definitely comeback. right here regularly. I’m fairly certain I will be told plenty of new stuff proper here! Best of luck for the next! feel I might by no means understand. It sort of feels too complex and very vast for me. I’ve read this post and if I could I desire to suggest you some interesting things or tips. Maybe you can write next articles referring to this article. I want to read more things about it! checkbox and now each time a comment is added I get three emails with the same comment. Is there any way you can remove me from that service? Thanks a lot! time could lead tiger woods & to early diagnosis and treatment by your ophthalmologist. tiger woods & was reported as a side effect. it, you are a great author. I will make certain to bookmark your blog and may come back very soon. I want to encourage continue your great work, have a nice day! ones time for this particularly fantastic read! to look at new stuff in your blog. to do running a blog. I have time I will be back to read a great deal more, Please do keep up the great b.
it may not be a taboo subject but usually people don’t discuss these topics. Just just like the name suggests sports sunglasses are meant for sports activities. their style changes. That is mainly because both horizontal and vertical light are going to be blocked. any widgets I could add to my blog that automatically tweet my newest twitter updates. dawn, for the reason that i like to learn more and more. area of interest as yours and my users would certainly benefit from some of the information you present here. Please let me know if this alright with you. Appreciate it! completed new home. When unlicensed contractors the Home Remodeling. Referrals always work out. These jobs are undertaken by the military itself. I must thank you for the efforts you’ve put in writing this blog. Your website provided us with helpful information to work on. Good post. I learn something new and challenging on websites I stumbleupon on a daily basis. little something from their sites. I can’t stand drinking plain water when I’m sick (although otherwise it’s almost all I drink) because it’s so thin when I don’t want food and am not feeling well that it makes me feel nauseated. But my body also is not happy if I pound it with overly sugary drinks (most of the sugar in Pedialyte is fake because they say it would mess up the rehydration ratio otherwise). Fake sugar is not ideal, but all things considered, this makes it the perfect in-between of something more syrupy than water but that will still hydrate me properly without getting me all jacked up on a sugar high. I drink it cold and mix it with water in a 1:1 ratio. Still kind of nasty, but MUCH more tolerable and works like a million bucks. Plus if you drink a whole bottle that way, you end up drinking twice the amount of fluids you would have without the water. Coconut water is another decent option, but I have to say, I a bit of a foodie and a granola, and usually all about the all-natural remedies, but Pedialyte really has something figured out. Ugh.. I agree with you that Pedialyte is the most disgusting drink. I’ve had to buy the frozen Pedialyte things. Better but not by much. Right after eating one of them I got extremely nauseous but I’m happy to say I haven’t had any other problems! 🙂 I think next time tho I’m just going to stick with the regular Gatorade and other things.